Coila is a Scottish ceilidh band based in Glasgow, Edinburgh and Ayrshire. The band is popular for wedding receptions and features energetic award-winning musicians, an experienced dance caller and an optional DJ. With 25 years of experience and an entertaining 'caller' who clearly teaches all the dances step-by-step, each and every guest has a fantastic time at every one of Coila's ceilidhs! Coila often travels internationally and has performed across Europe, Africa, Asia and North America for traditional Scottish weddings and Burns Night & St Andrew's celebrations for Caledonian Societies. 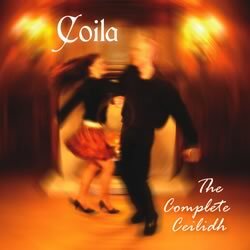 Over the years we have recorded several CDs, including the critically acclaimed, top-selling album ‘The Complete Ceilidh’, which is available to download from iTunes. If you are interested in booking Coila for a ceilidh or you would simply like to check our availability and get a price quote, please. . .